We all remember the day Georgia attacked Russian-allied South Ossetia. Our country's support for Georgia's courageous leader gave him and his fellow Georgians the courage to take on the Russians. Some will say the following is just a coincidence. Don't believe them. "The tone is going to be very intense, very much keeping in mind the post-9/11 world that we're in," says Ellsworth, who was 11 when the original was released. 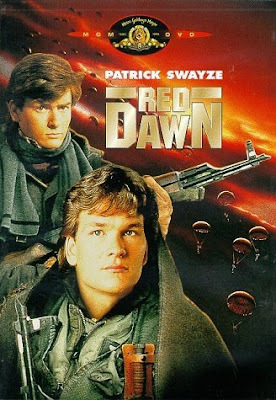 "As 'Red Dawn' scared the heck out of people in 1984, we feel that the world is kind of already filled with a lot of paranoia and unease, so why not scare the hell out of people again?" DOF wishes Mr. Ellsworth success towards achieving his goal for the film.